This project aims to explore the possibility of using Google Earth as a medium for storytelling. Google Earth’s 3D space is built up of stitched images captured at various points in time. 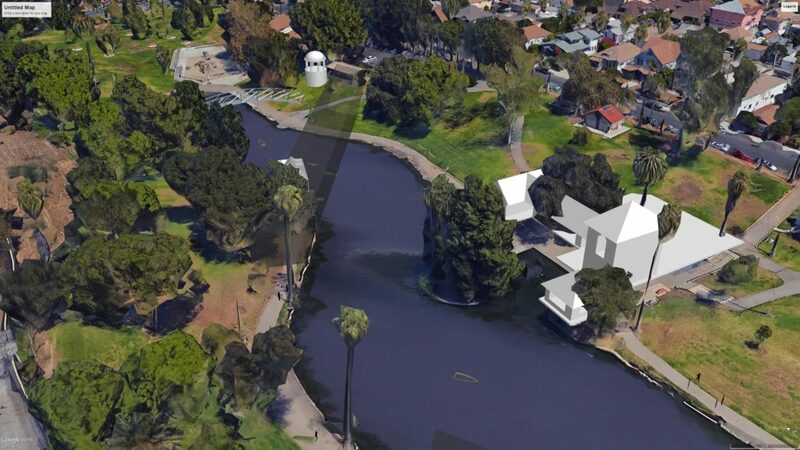 Using Hollenbeck Park, a key location in the Boyle Heights leg of the opera, as a test space, a research of all previous narratives contained by the space was conducted. The films shot there from 1921 to 2011 documented the various renovations that Hollenbeck Park went through. 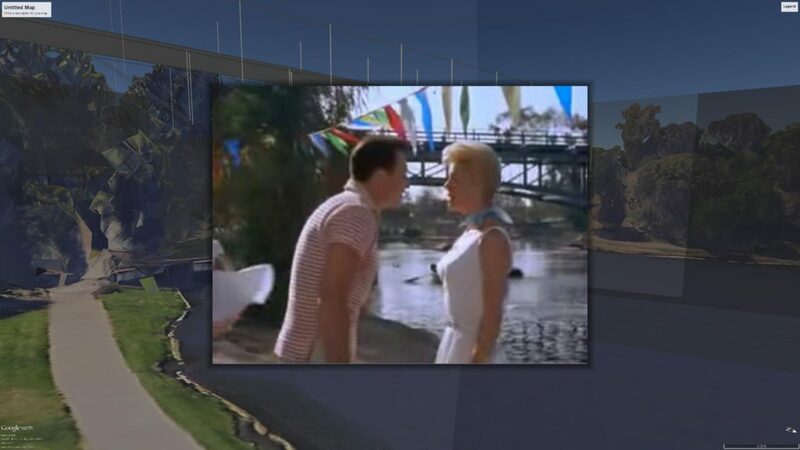 These frames captured by the various films were then extracted and embedded through montage into Google Earth while deriving their camera locations. The film cameras for these frames were then established as possible surveillance devices in Hollenbeck Park. So the frames extruded themselves to the point of camera position creating large masses and voids in Hollenbeck Park. Using these conditions of restricted negative space within the park, a world was built around the possibility that the voids in the park were occupied by an entire invisible civilization that no one saw because they weren’t captured by the film cameras. Since these cameras all documented various points in time yet the frames existed within the space at the same point in time, it was understood that the elements of the park like the extended bridge and the boat house which were renovated and removed would reappear in the space to allow for a form of temporal convergence.